SEMA Hall of Fame - Louis Borick, 1995, Superior Industries. The founder and CEO of Superior Industries, former used-car salesman Lou radiated the spirit of entrepreneurship. He started his company, Superior Industries International, with the design and production of alloy custom wheels. Today, Superior wheels are found on tens of thousands of production-line new cars. 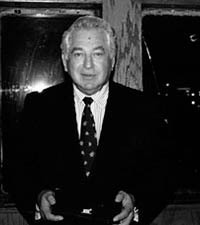 He had been on the company's board of directors since 1958, serving as chairman until 2007. Lou was also a major supporter of the SEMA Memorial Scholarship Fund and one of the Scholarship's subfund sponsors; the L.L. Borick subfund is awarded each year to students seeking careers in the specialty-equipment industry.